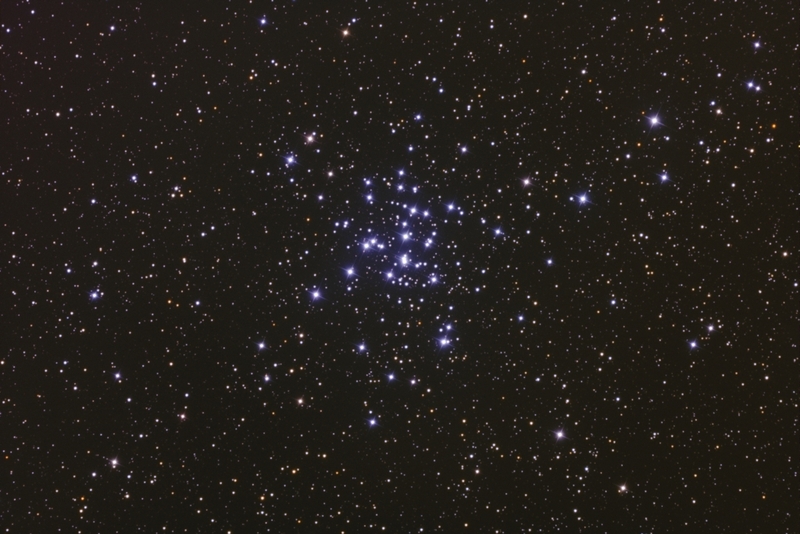 Messier 36 (M36, NGC 1960) is a magnitude 6.3 open cluster in Auriga. 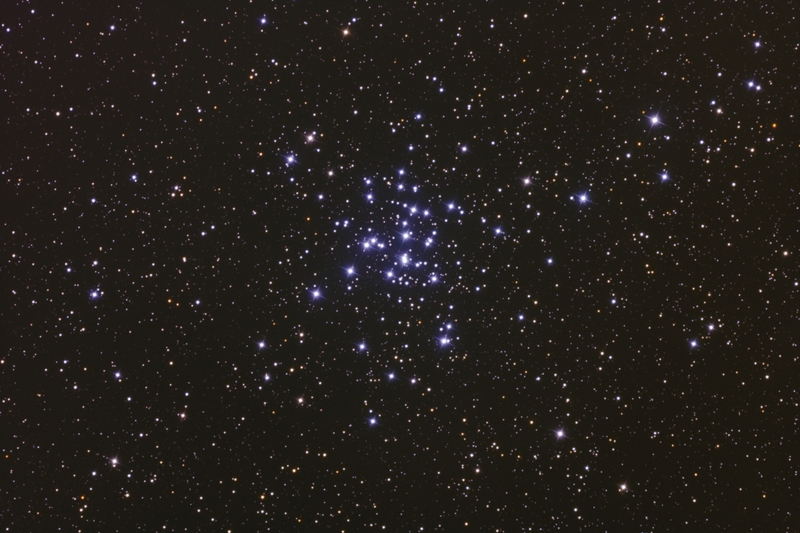 This open cluster lies in our own Milky Way about 4100 light years away (as compared to the galaxies I like to image, which are usually 20 million light years away or farther). This is a very "young" open star cluster and is only about 25 million years old. Most of the stars you see here are more massive than the sun and burning at very hot temperatures, which makes them blue-white in color. There are about 60 stars in this bright little cluster. It is often compared to the Pleiades, with which it is very similar in age and composition, although this cluster is farther away and therefore not as prominent to the naked eye.